Well, we have launched into the beautiful autumn season here in Saratoga and, with that, we are excited to share our newest members. Time to get to know these area businesses! 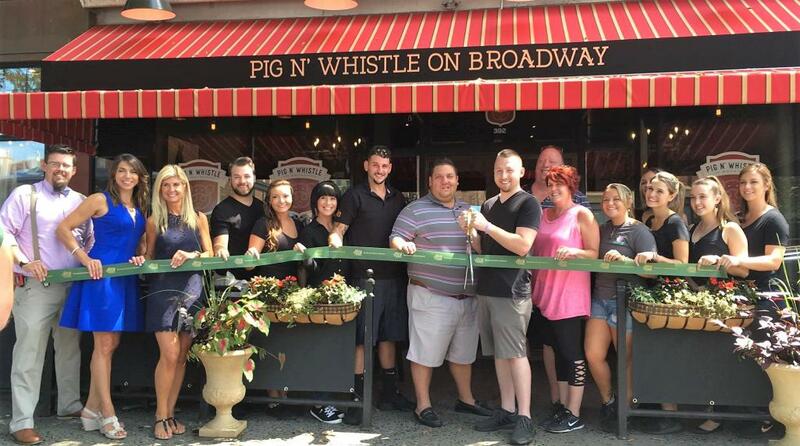 Broadway welcomed a new restaurant to town this past summer called "The Pig N&apos; Whistle on Broadway." Located at 392 Broadway in what was formerly the Circus Café, the Pig N&apos; Whistle on Broadway offers a menu featuring Irish American cuisine with a special focus on burgers. They offer traditional Irish fare such as fish and chips, bangers and mash, and Shephard&apos;s pie and, on the 17th of each month, they proudly serve corned beef and cabbage! However, they plan to specialize in burgers, and alleviate what they see as the need for a really good burger in Saratoga. They additionally offer live music and trivia nights, and provide a great atmosphere in which to kick back with a beer to cheer on your favorite team. Do you enjoy the music of The Beatles? Elton John? Carole King? How about Metallica, Cold Play, or Zac Brown? 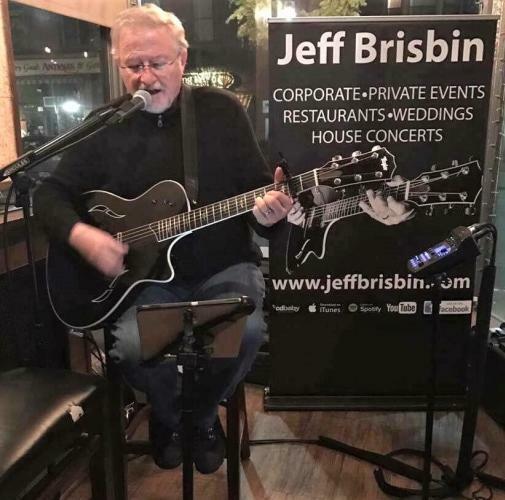 Then, we know you will love the music of Jeff Brisbin! Jeff is a seasoned live performer, having played over 2,000 gigs all over New York, New Jersey, Massachusetts, Pennsylvania, Vermont and Maine. He has great stage presence and, when he "covers" a song, he makes it his own. When he plays you one of his beautiful originals, be prepared to have him touch your heart! You can find Jeff performing all over Saratoga and surrounding areas, in restaurants, bars and pubs. Additionally, Jeff performs at weddings, corporate events and private parties with an impressive playlist of over 1,000 songs! Eager to hear some video clips? Head to his website to hear songs from his new album, "Foreverly," and prepare to be blown away! 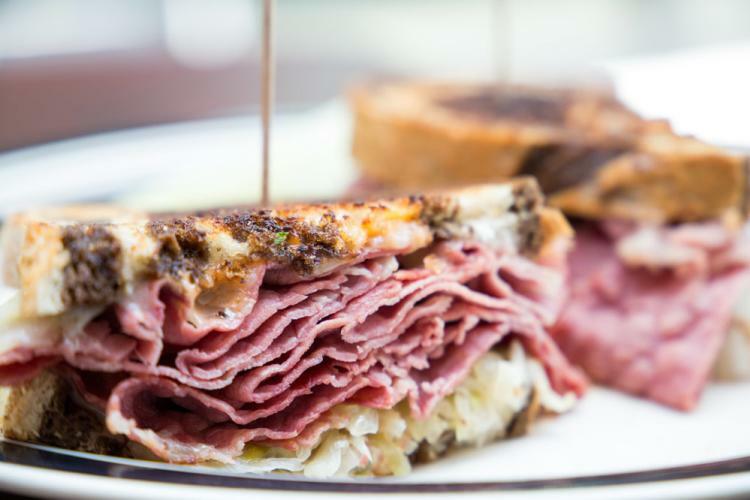 If the sight of this delectable sandwich makes your stomach begin to growl and your salivary glands go into overdrive, head on over to Saratoga&apos;s Broadway Deli, located down the alleyway of the Northshire Book Store. This authentic Jewish deli is as real as any you&apos;ll find in New York City, offering deli favorites from pastrami sandwiches to matzo ball soup to smoked salmon bagels. They invite you to swing by for a breakfast bagel, or a deli lunch with friends...or perhaps you&apos;d like them to cater your next event! 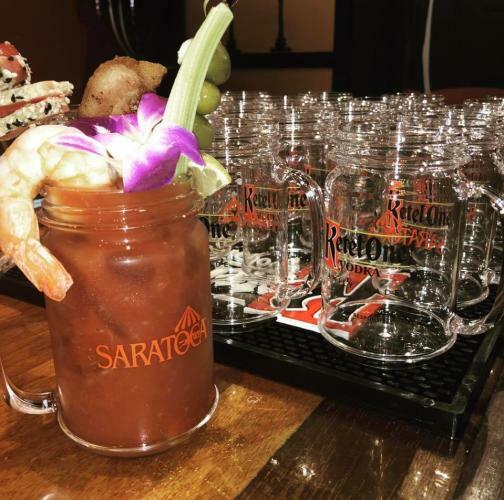 Owner Daniel Chessare has a long history with the Saratoga culinary scene, most recently with Scallions, the Wine Bar, and the Merry Monk. Check out their menu for your next deli fix! 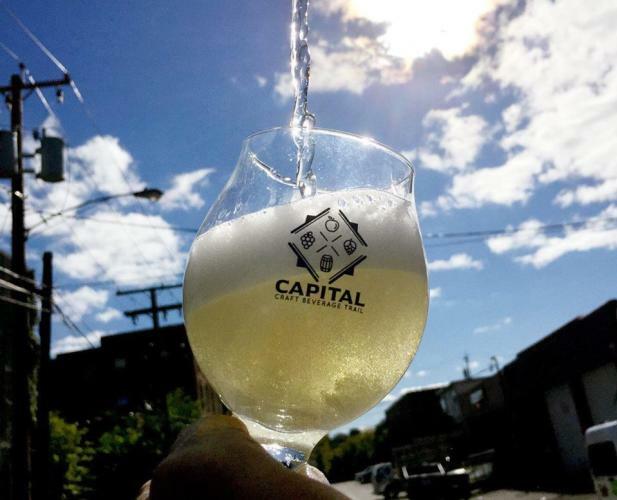 Formed in 2015, the Capital Craft Beverage Trail was designed to promote craft and farm-based beverage producers in New York&apos;s Capital Region. The region&apos;s most popular craft beverage facilities are promoted via this one-of-a-kind "drinking tour," with each producer sourcing ingredients locally, and creating beverages in small batches to maximize quality. A printed booklet, fondly dubbed "The Passport," is available for FREE at all of the producer member locations and at the Albany Heritage Area Visitor Center and Saratoga Springs Heritage Area Visitor Center, and helps to plan fun and rewarding visits to the many Craft Beverage Producers that make up the Capital Craft Beverage Trail. The Passport features a map which is conveniently organized by county to help facilitate your visits to producers that are near each other on your tour. Get your passport stamped at each stop and, at designated intervals, you will tear off and redeem the stamped, perforated sheets for cool prizes! With a business tagline of "We make your website your best employee and the Internet work for you," NewWard Development, LLC, lives up to its promise. In business since 1999, they have been helping businesses build successful digital marketing strategies by listening to their needs, desires and ultimate goals, and then creating an online presence that works. With services that include social media marketing, Internet marketing, Internet profit centers, web site design, and Wordpress CMS websites, they have the tools, expertise, knowledge and experience to help your business grow. 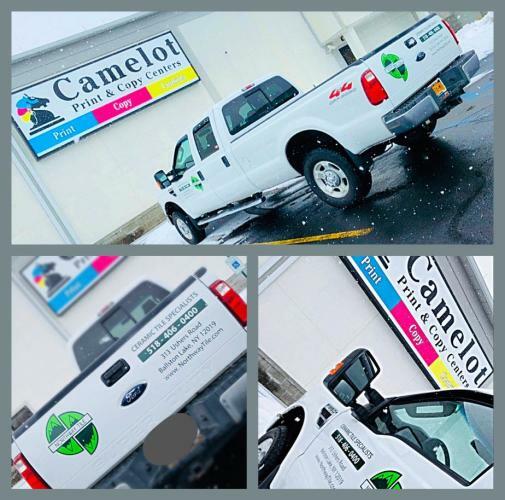 Camelot Print & Copy Centers has been in business since 1997. They began as a small copy shop and have grown to become the area&apos;s leading printing services company in the Capital District! With the ability to print practically everything...from business cards and brochures to tradeshow displays and promotional items...there is no job too big or too small. Their main office is located in Latham, NY, and they serve the following areas: Albany, Schenectady, Troy, Clifton Park, Saratoga Springs and beyond. Free pickup and delivery in the Capital District! 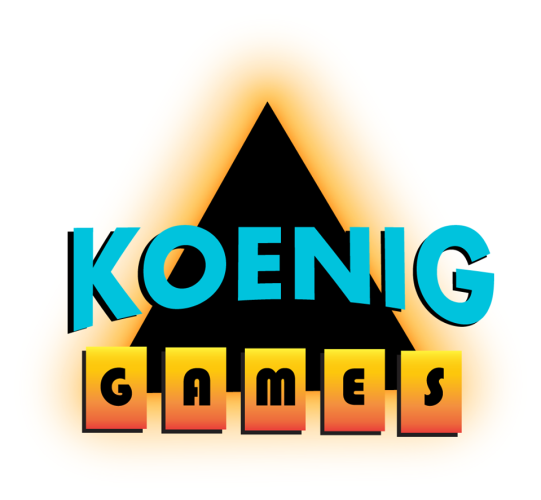 Koenig Games hosts Award-Winning (Saratogian, Times Union, Metroland) Trivia Nights and the new services of large-scale custom made game shows created by and hosted by "Chad from Albany" Koenig, as seen on "The Late Show with David Letterman!" Definitely a great way to elevate your meeting or event to the next level. 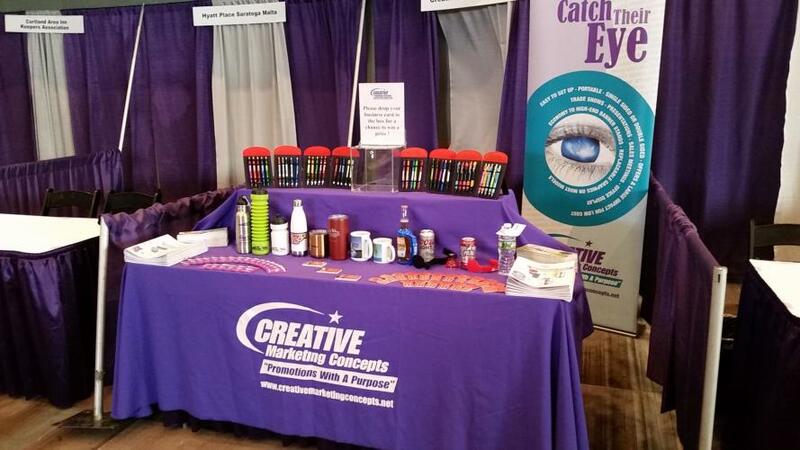 Creative Marketing Concepts encourages clients to "Be creative. Be bold. Stand out." This integrative marketing company is all about the "brand." They help you make the choices to best keep your brand "Top of Mind," even when your clients are not thinking about you! They help determine what the key indicators are of your particular brand, and then show you how to best communicate those indicators to your clients and prospects utilizing any or all of the "five P&apos;s:" Print, Promotional, Packaging, Presentation, and Premiums. 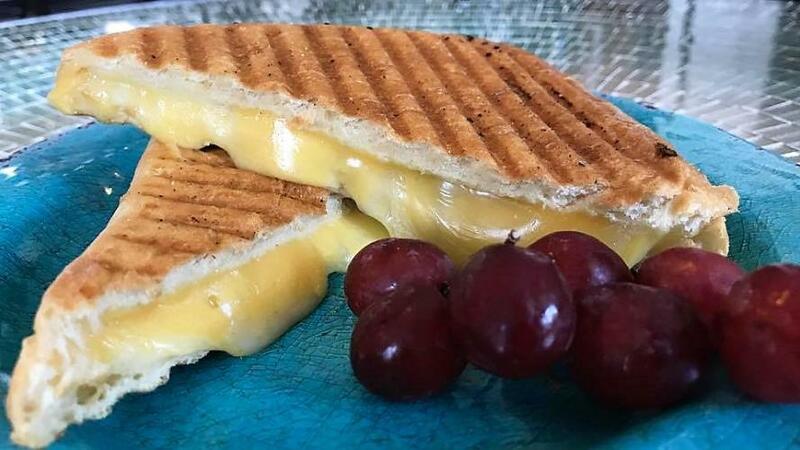 If this grilled cheese looks as good to you as it does to everyone here in our office, head on over to the Blue Peacock Bistro, located inside the Pavilion Grand Hotel. The Blue Peacock Bistro brings an eclectic, fun style to breakfast and lunch. There&apos;s a touch of whimsy in everything! Inspired by its namesake, the Bistro specializes in bright, light, and colorful fare. From quick breakfasts to filling lunches, enjoy a casual meal in a light-filled indoor bistro, or outside on the terrace in the warmer months. In addition to fresh meals and hot coffee, this bistro features artisan meat and cheese platters and a unique wine dispenser for when you want just a glass to enjoy! Let&apos;s work together. Learn more about Discover Saratoga membership benefits, or reach out to Connie.